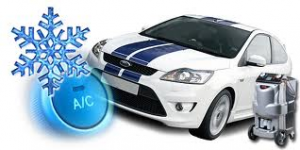 You may not be aware that over 10% of air-con gas permeates from the air-con system every year, which means that it may not work as well as it should. This is why car manufacturers recommend your Air-Con system is recharged with gas and lubricant every 2 years. This service is not part of routine vehicle servicing, so if your vehicle is more than 2 years old it’s probably due a recharge.